Served by the Central line between Liverpool Street and Mile End, Bethnal Green Underground Station was opened as part of the Central line eastern extension on 4th December 1946. The original p ale yellow tiling, manufactured by Poole Pottery, was replicated during the 2007 modernisation and several panels of original tiling remain on the platforms. 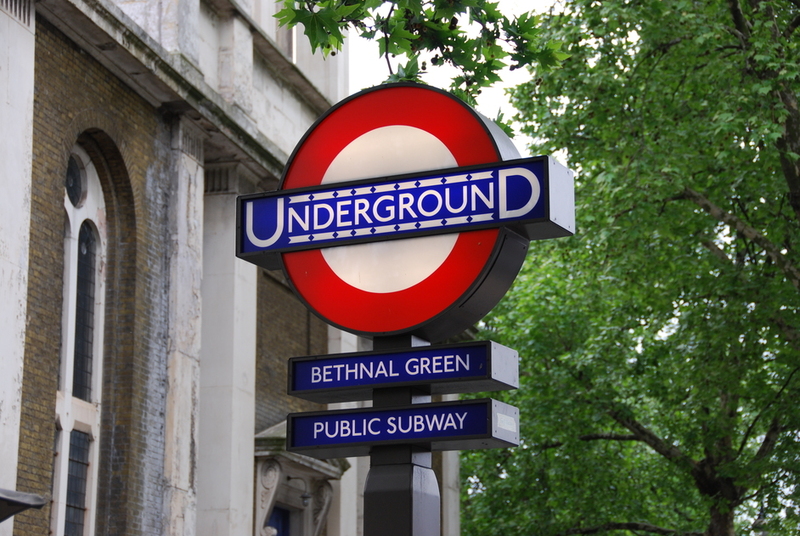 Bethnal Green is also serviced by overground trains running from the Bethnal Green Train Station, seven minutes' walk away, which takes you to Liverpool Street, Hackney Downs or Cambridge Heath. What are the best dining options near Bethnal Green Underground Station London? Bethnal Green Underground Station gyms, sporting activities, health & beauty and fitness. The best pubs near London Bethnal Green Underground Station. Bethnal Green Underground Station clubs, bars, cabaret nights, casinos and interesting nightlife. Where to have your meeting, conference, exhibition, private dining or training course near Bethnal Green Underground Station. From cheap budget accommodation to luxury 5 star suites see our deals for Bethnal Green Underground Station hotels, including Ace Hotel London Shoreditch from 85% off.